Join other privacy and data security professionals for a roundtable discussion to share advice and experiences, and to speak with Dr. Dennis Voigt, an EU data protection lawyer from Germany. The European Court of Justice has ruled that the U.S. - EU Safe Harbor Framework is inadequate. What are the implications for your company? What are best practices for moving forward with model contract provisions, binding corporate rules, and/or reliance on derogations? 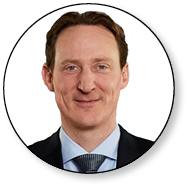 Dr. Dennis Voigt is a partner at Melchers, a German law firm with offices in Berlin, Frankfurt and Heidelberg. Dennis's practice focuses on data protection, marketing, advertisement, distribution, and IT matters. His clients are software suppliers and software distributors, advertisement agencies, online-service providers, and insurers. In data protection matters, Dennis has been advising clients for more than a decade with a particular focus on the design and use of large databases, either for HR administration or marketing purposes.